Grinnell, IA – December 2011 – Alladin, which was founded over 40 years ago, utilizes over 200,000 square feet of manufacturing space in Surgoinsville, Tennessee. It has injection presses up to 2500 tons, gas-assist molding, painting/decorating and various other secondary operations. Alladin Plastics is a custom injection molder for OEM customers in the consumer and furniture industries. Alladin also has a proprietary line of drinkware and other ad-specialty products. Engineered Plastic Components is based in Grinnell, Iowa and now has 14 manufacturing operations around North America and serves a wide array of customers and industries. 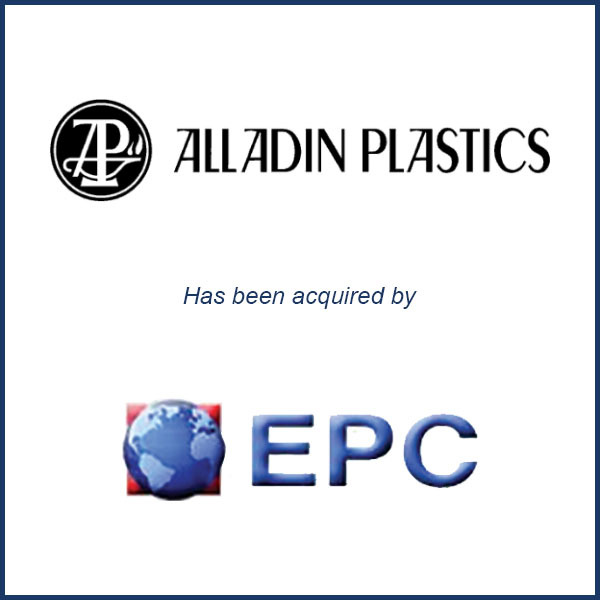 Molding Business Services served as the exclusive financial advisor to Alladin Plastics in connection with its November 2011 sale to Engineered Plastic Components.